Whistler has already seen over 10 meters of snow so far, and the season isn't even close to being over, with recent heavy snowfalls and more on the forecast. Enjoy Whistler teamed up with the resort partners to create some great value spring skiing packages. Snow ‘n’ Sun. Blue bird days already abound, and with more time in the sun, there is more time for exploring the mountain and the vibrant town. This year, the resort already has seen over 10 meters of snow and the season isn’t even close to being over. Enjoy Whistler (http://www.enjoywhistler.com) teamed up with the resort partners to create some amazing value spring packages. Prices tend to start dropping after peak season, but so does the snow, which means one can still get beautiful powder days while shedding a few layers and enjoying a fresh goggle tan. Ski, Tan, Repeat package, offers 4 days at the chic Aava Hotel and a 4-day ski pass for 35% off. Basically, one can find lodging this spring from as little as $89 room/night and save 37% on lift tickets, when bundling up a ski package with Enjoy Whistler. 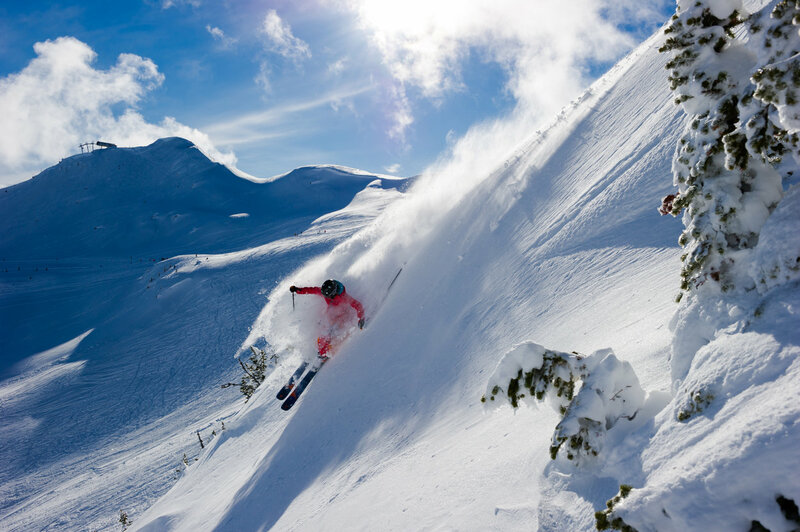 The luckiest winners are the neighbors to the south: with the US dollar so strong against the Lonnie, spring Skiing in Whistler comes as a rare perk: savings up to 40% off Ski and Stay packages, with an additional 34% savings from the USD/Lonnie conversion. For example, a deal on offer during the World Ski and Snowboard Festival, features 4 nights at a 3.5 star condo/hotel and a 4-day ski pass starting at USD $93/per person/day (based on double occupancy). Not only does the spring bring great weather, prices, and healthy tans, it also offers a slew of activities around town, such as: the World Ski and Snowboard Festival from April 8-17, the Winemaker’s Après Series on March 31, the Magic Mountain Tour on March 26, and so much more. More deals and details about booking a ski vacation to Whistler can be found on http://www.enjoywhistler.com. Enjoy Whistler.com is part of the Enjoy Vacations Network, a Central Reservations company committed to providing the best ski vacation experience for leading mountain resorts such as Whistler, Vail, Banff and Panorama.